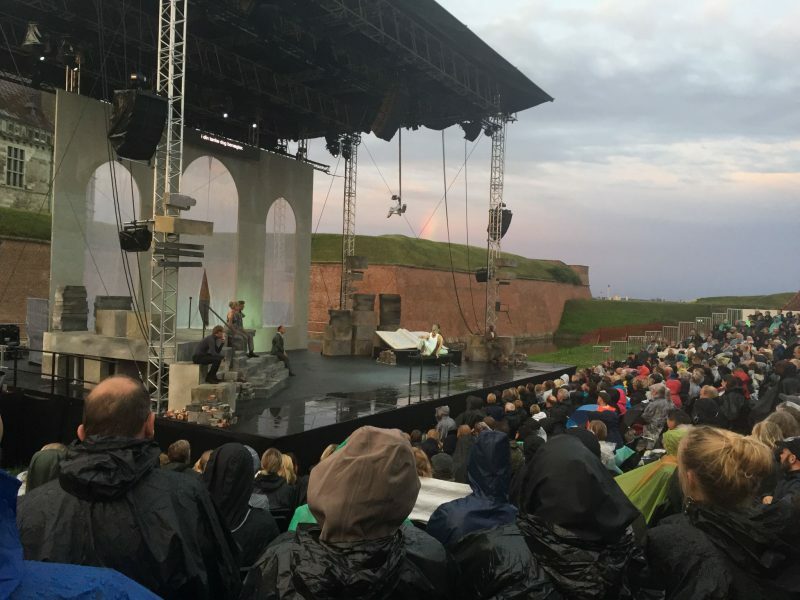 If there is one thing you should do when living in Copenhagen, it’s to experience a performance of Hamlet at Kronborg Castle in Elsinore – the very place where Shakespeare set his play. I was lucky enough to experience this aged 17, with my family. Something about my Danish ties and the unique experience of watching that performance, had an impact on me. I wrote about it for my English A-level course work and used it in my applications to study English Literature at university. 15 years and many Hamlet essays later, I was back in Elisnore to see another performance of the play at the castle. This time, it was just as unique. Not only was I now a Danish resident audience member, watching with new friends and a bottle(s) of wine; but I knew the Danish actor playing Hamlet. And it was his opening night. Indoor picnic due to rain! 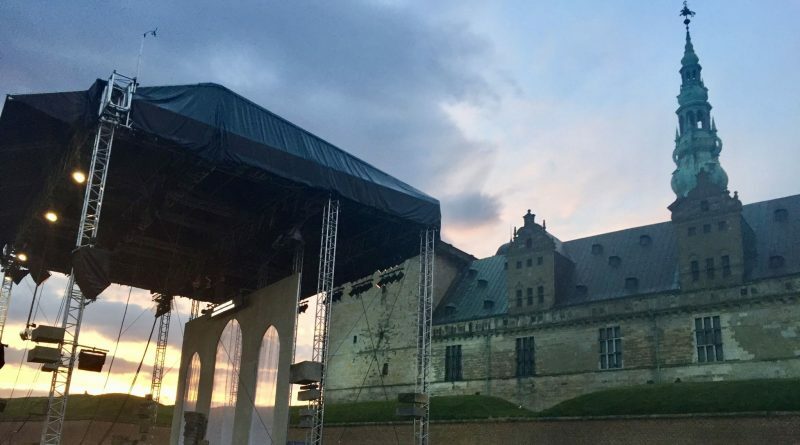 What makes performing and watching Hamlet at Kronborg Castle so unique is that it’s completely outdoors. Only the stage is covered. Behind the stage you see the castle, the views of Elsinore and the sea in the distance. You hear the seagulls, who seem to time their squawks at just the right dramatic pause. As the play enters the second act and becomes quite dark, (people die, Hamlet turns quite horrible), the sun sets and you are actually watching in darkness, with the sounds of the night around you. It’s a vast yet intimate setting and even on the back row, as we were, you can see and hear everything clearly. Being outdoors, you have to be prepared for the weather. Denmark is like England in that respect and true to Danish summer, it rained on the opening night. But this doesn’t deter a Danish audience, wrapped up in their thermals and waterproofs. An announcement was made just before the play started, saying if the rain became heavy, we’d be directed to shelter. “Errr…this is heavy..? 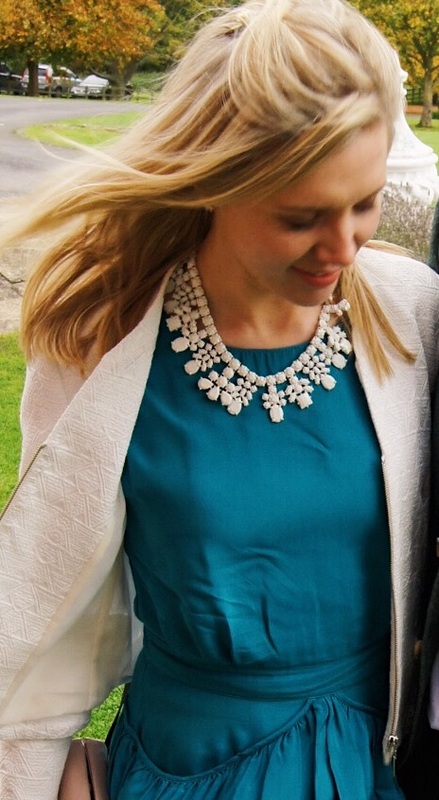 !” whispered my expat friends. But as soon as the actors entered the stage, we didn’t notice the rain or our soggy bottoms and before we knew it, the first half was ending and a rainbow appeared. The comedy of the first half, which was actually laugh-out-loud, it was so well performed, was counterbalanced by the very dramatic second half. It’s the first performance of Hamlet I’ve seen where they’ve acted out Ophelia’s death (not the way I was expecting!) and the way Hamlet poured the poisoned drink down Claudius’ throat was so realistic, I wondered if we had paramedics on stand by. Luckily, this happened at the very end and he came back to life for the curtain call so all was well. As I post this, it’s the penultimate performance of the production’s 19-day run and I can’t imagine how the actors keep going night after night, when I think of what I’ve done since the premiere (blog posting not included!) 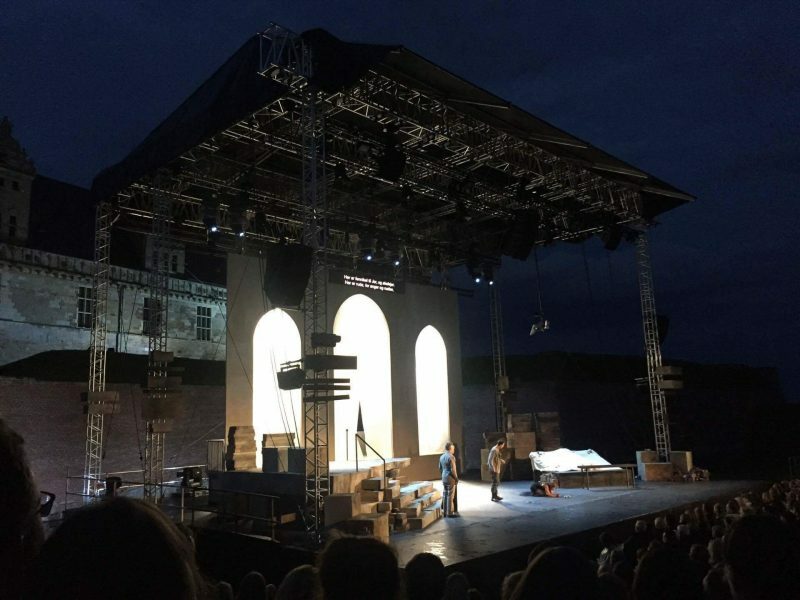 But a new production of Hamlet is performed outdoors at Kronborg castle every summer. So if you’re planning a trip to Copenhagen in August, definitely go and experience it. You might just view Hamlet, and the state of Denmark differently.